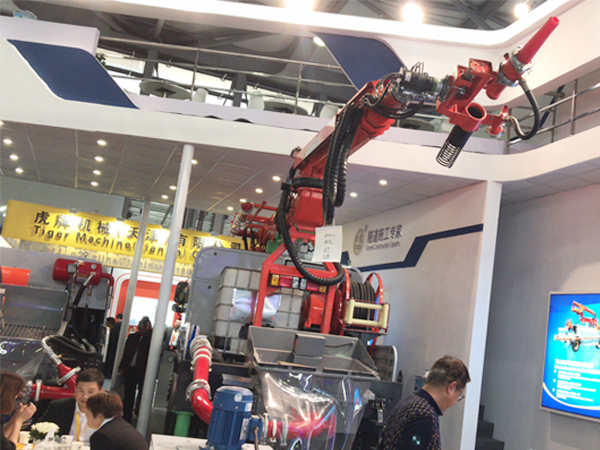 Congratulations！Weibang TXJS 2515 shotcrete robot has been sold at Shanghai Bauma Exhibition - Henan Weibang Intelligent Science & Technology Co., Ltd.
Good news continuously come from the exhibition. After introduction on our products, some customers placed an order at once. 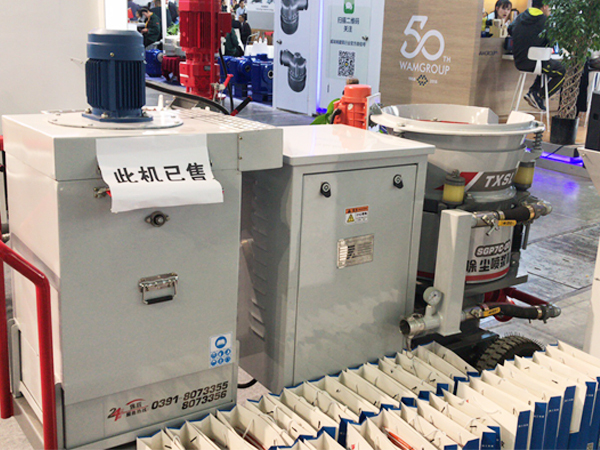 Some medium machines, such as automatic mortar pump, wet shotcrete machine HS700 were sold out. Small machines such as Geomembrane welding machines hot air welding machines which are easy to carry are the top seller. 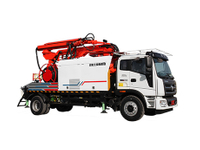 The most excited news is that purchasing manager Mr. Wang from China State Construction Engineering Corporation put an order on for TXJS 2515 shotcrete robot. Shotcrete robot is not cheap, why customer can place an order so quickly. That is because their trust on Weibang company and Shenxin brand. Thanks for our customers’ trust, Weibang company will continue providing high quality products with competitive price.